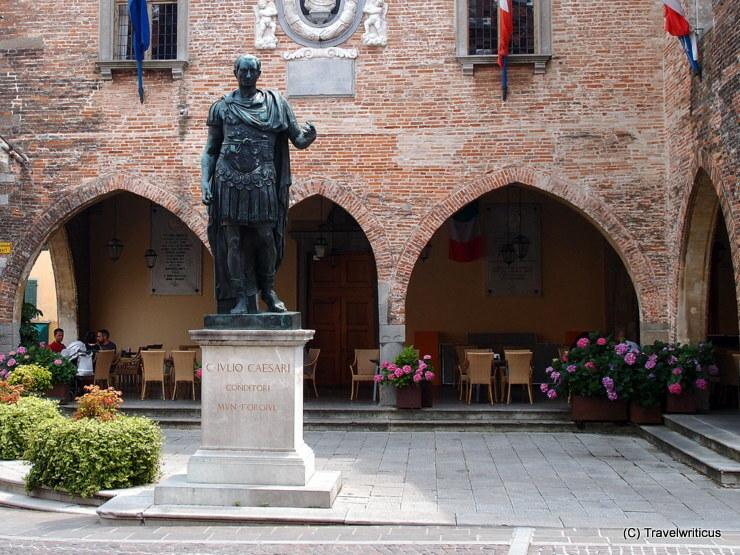 Although the Roman Empire came to an end many centuries ago, the inhabitants of Cividale del Friuli still like to remember their city founder Julius Caesar. 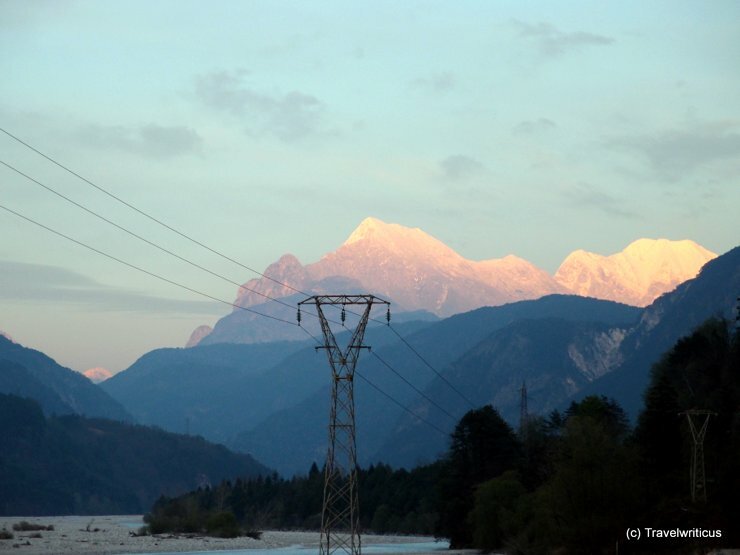 On my way from Udine to the Austrian border I took an ordinary road through the Val Canale instead of the motorway and enjoyed a splendid view of the Alps. In some areas of Europe it is really better to drive slowly instead of racing along the motorways, isn’t it? 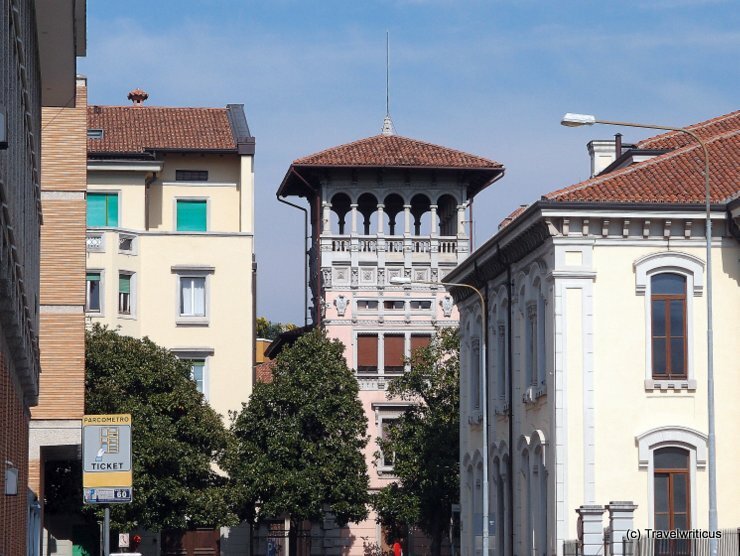 Another interesting piece of architecture I saw in Udine. It is called an altana. Well, would you love to live in such a tower? 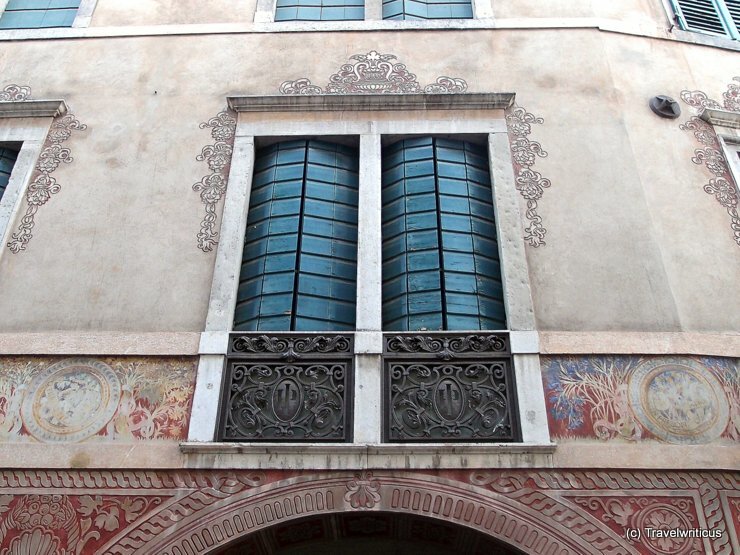 I just love the style of these shutters. You? 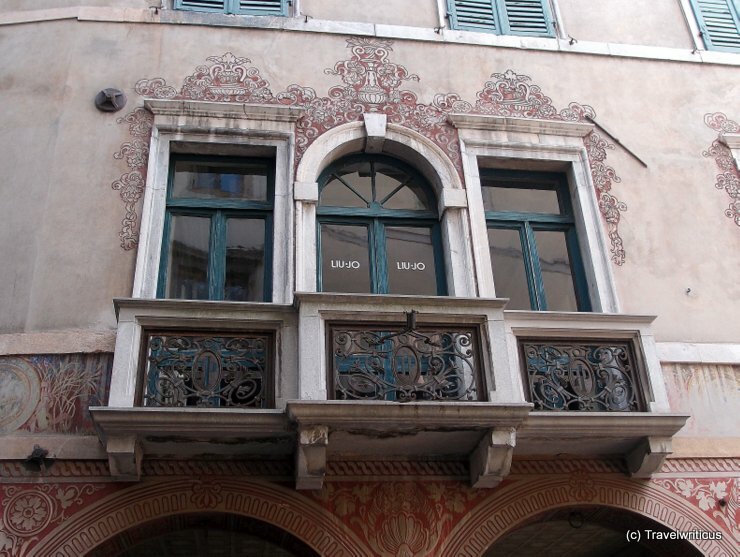 Nice balcony in the streets of Udine. 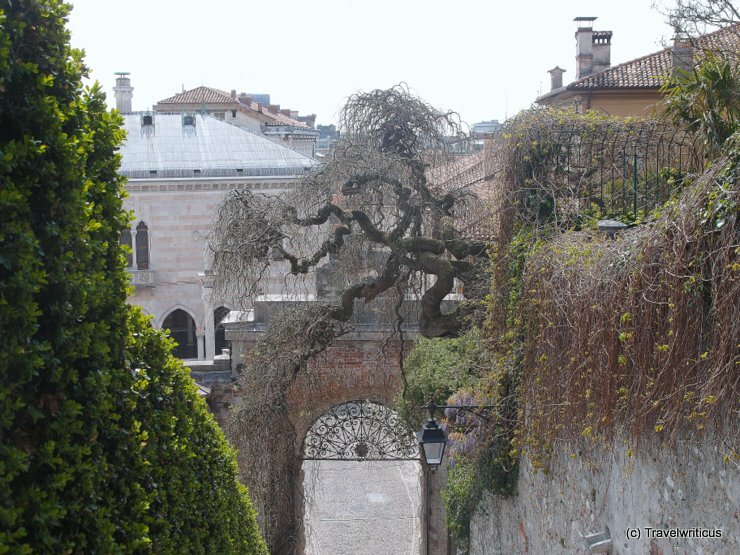 Who of you would like to be Juliet on that balcony? 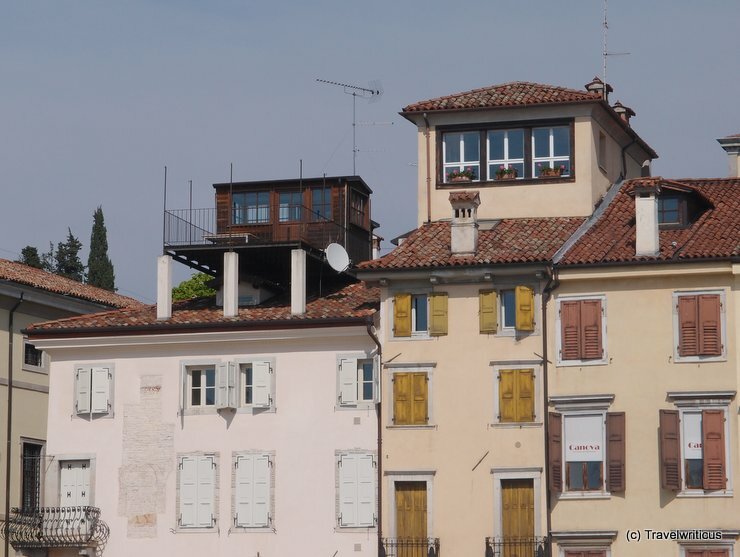 Funny penthouse at a piazza in Udine. Would you love to live there? 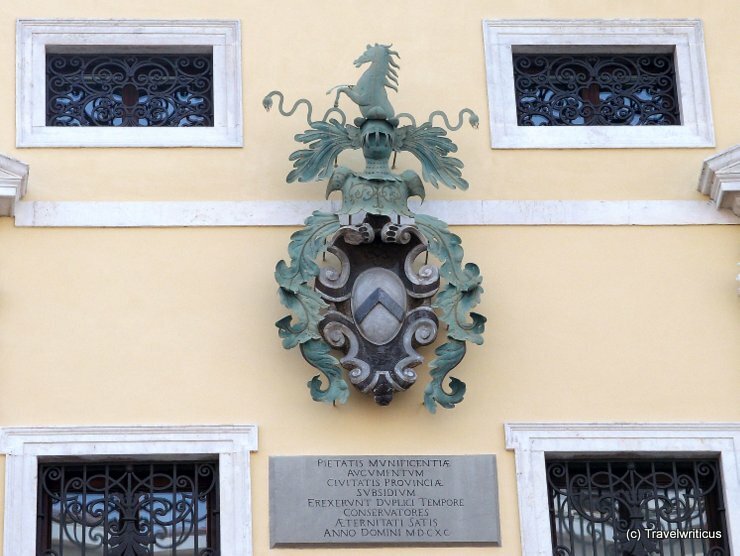 Amazing emblem seen in the streets of Udine. Any ideas who is the owner of this coat of arms? 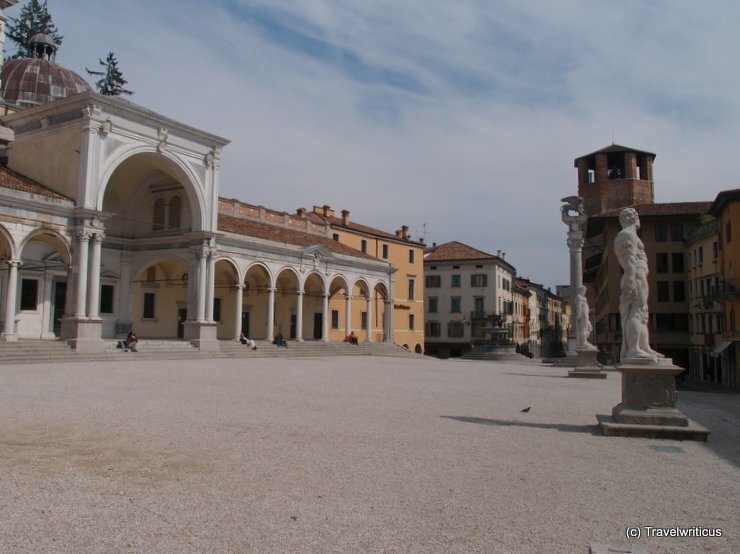 At the Piazza Libertà in Udine. I love this photo for one reason: Though it is a central place the atmosphere is so peaceful. 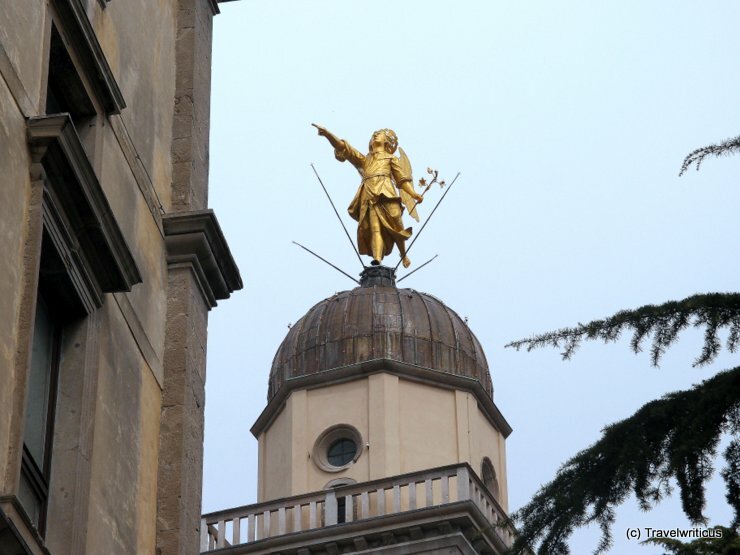 A golden angel on top of the church Santa Maria in Castello in Udine. Any ideas what he tried to show me?